The employees recognized were Curtis Brown, Terry Gilmore, Ismael Ventura, Aimaree Watcharie, Jamar Wright, and Alex Yarnof. Poleo presented each employee with an AbilityOne coin as a token of the program’s appreciation. Didlake President and CEO Rex Parr said it was an honor for Didlake to have been part of the DLA team for 12 years. “We are thrilled that six of our employees are being recognized for their hard work,” Parr added. 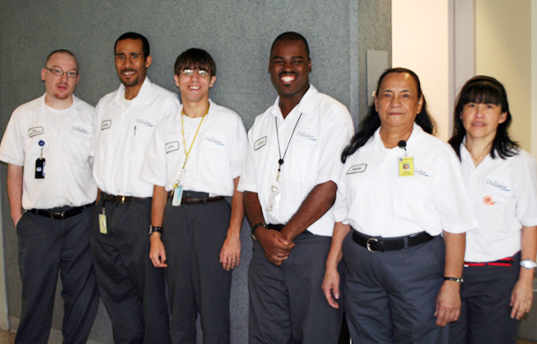 Didlake is a top producer in the AbilityOne Program, the largest single source of employment for people who are blind or have other severe disabilities in the United States. Employment opportunities made possible through the AbilityOne Program provide people who are blind or have other severe disabilities with the job skills and training necessary to receive good wages and benefits and gain greater independence and quality of life while providing high quality solutions for the federal customer at a fair market price approved by the AbilityOne Commission.